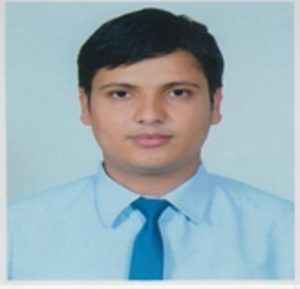 Mr. Wagle is qualified as a Chartered Accountant from Institute of Chartered Accountant of India (ICAI) in Year 2009 AD and he is also Fellow Member of Institute of Chartered Accountants of Nepal (ICAN). Mr. Wagle has Bachelor’s Degree in Accounts and Finance from Indira Gandhi Open University (IGNOU) Delhi, in Year 2010 AD.Mr. Wagle has also obtained the Diploma in International Financial Reporting (Dip IFR) from Association of Chartered Certified Accountant, (ACCA UK). Mr. Wagle is practicing member of Institute of Chartered Accountants of Nepal (ICAN). He has been practicing in Audit and Advisory services for more than 8 years now. Mr. Wagle is growing and involving in various positions in ACAN, ICAN and other prestigious position representing the profession as under. Contribution to Academic knowledge sharing as a Director of Academy of Commerce (AOC) Pvt. Ltd.
Involvement in advisory services as Chairman of Phoenix Nepal Private Limited. Founder Promoter-Director of Kathmandu Capital Limited, a public limited investment company. Lecturer/Trainer on Financial Accounting, Nepalese Company Law and Indian Company law and other business laws. Delivered lectures in the capacity of Guest Speaker in many colleges. 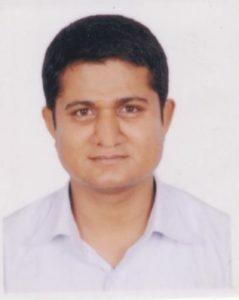 Mr. Raut has qualified Chartered Accountancy course from Institute of Chartered Accountant of Nepal. He is a first rank holder of CA. Intermediate Level Examination in the year 2006 (June). He is a Fellow member of Institute of Chartered Accountant of Nepal and a life member of Association of Chartered Accountant of Nepal. CA. Raut has Master’s Degree in Business Studies from Tribhuvan University. CA. Raut has also obtained the Diploma in International Financial Reporting (Dip IFR) from Association of Chartered Certified Accountant, UK and Diploma in Information System Audit (ISA). He has earlier served as Executive Member of Association of Chartered Accountant of Nepal in the year 2013-15. CA. Raut is currently in practice. 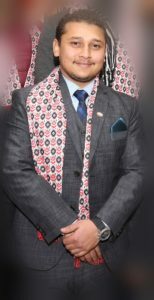 Mr. Dhakal is the Director of the firm, JKB & Associates, Chartered Accountants. He is a member of The Institute of Chartered Accountants of India (ICAI) and brings with him professional experience of more than 15 years (pre and post qualification) in business advisory, strategic planning, due diligence, risk management, and assurance services in different public, private sectors companies and international agencies. He is currently serving as a Treasurer of the Association of Chartered accountants of Nepal (ACAN). He also holds B Com. (A&F) and Post Graduate Diploma in Human Rights. He has served as resources person of “Financial Management” in a Shanker Dev College, a TU affiliated college. He has provided his expertise in preparation of strategic business plan, business valuation, transaction services, risk management, due diligence audit, feasibility study, capacity building to various corporate clients. He has been cited as the one man of the need by several professional of the same fraternity as he possess several problem solving technique and handle intense situation. Besides having exceptional audit and managerial skills, he has involved himself in an entrepreneurship role chairing, Mayor Educational Consultancy. Mrs. Sangita Kadariya, a qualified chartered Accountant the Institute of Chartered accountant’s of Nepal has also completed her Master degree in business studies from Tribhuvan University, Kathmandu, Nepal and A lead Auditor Course – “ISO 9001:2008 Quality Management Systems” from authorized Body. 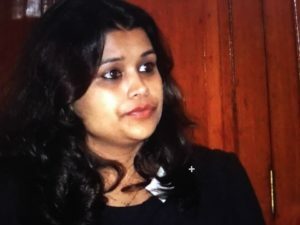 Currently she is holding the position of anExecutive director of her own renowned company Shikhar Shoe Industries Pvt Ltd. Further She is also the Director of other business unit namely Maruti Shoe Industries Pvt Ltd, Maruti polymers pvt ltd and Noorin Company Pvt. Ltd. Recently she is nominated for the post of Director of Infinity micro finance Ltd – A reputed national Level Micro finance of Nepal. 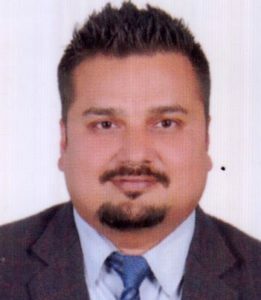 Mr. Poudel, a practicing Chartered Accountant, brings with him wide experience for more than 8 Years in the field of External and Internal Audit, Direct Taxation, Indirect Taxation and Financial Advisory of various corporate entities. He has successfully handled Corporate and Bank related Tax issues, Tax assessment, Tax scrutiny and full tax audit. He has previously worked at ‘Citizens Bank International Ltd.’ and had played a major role in systemizing the Finance Department. 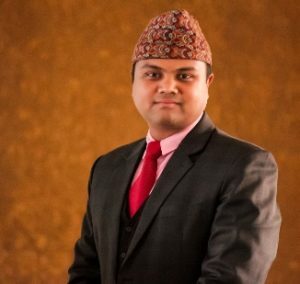 Mr. Poudel is also the Financial Management consultant at many local reputed organizations. He is also the resource person for ‘Financial Management’ of Chartered Accountancy course for Nepal Board and Indian Board. Mr. Poudel is the committee member of IT under The Institute of Chartered Accountants of Nepal (ICAN). Mr. Poudel is an elected Executive Committee member of Association of Chartered Accountants of Nepal (ACAN). He is also the Financial Advisor/ consultant of Social Welfare Council (SWC) of Nepal for evaluating performance of INGOs and NGOs. 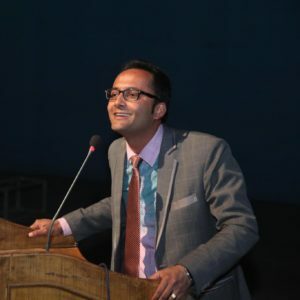 Mr. Paudel is a Member of The Institute of Chartered Accountants of India (ICAI) and The Institute of Chartered Accountants of Nepal (ICAN), who holds Bachelor Degree in Business Studies from TU and B.Com from IGNOU with 6 years experience in Nepalese banking sector. 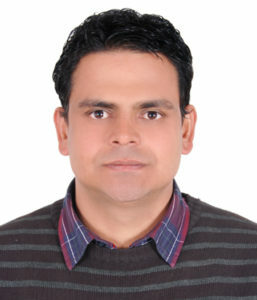 He started his career as Manager (CA) with Nepal Bank Limited in 2012. Later, he served Siddhartha Development Bank Limited (now merged with Janata Bank Nepal Limited) as Head- Accounts and Treasury at that time he also served as Member Secretary of Board of Directors of Siddhartha Retirement Fund. Now he is working as Manager – Finance & Treasury (CFO) in Tourism Development Bank Limited. In addition he worked as member of Professional Financial Sector Subcommittee of Self Evaluation Committee at Ministry of Finance relating of AML/CFT and also as a member of Contemporary Issue Discussion Committee of ICAN. Mr. Paudel has been elected as Executive Committee Member of ACAN for 2017-19. Mr. Poudel holds a Bachelor’s Degree in Account and Finance from IGNOU, India. He is a member of the Institute of Chartered Accountants of India and CA member of The Institute of Chartered Accountants of Nepal (ICAN). He holds Diploma in International Financial Reporting (Dip IFR) from the Association of Chartered Certified Accountants (ACCA) UK. Mr. Poudel has 8 years of work experience in auditing and finance sector. Mr. Poudel has more than three years’ managerial experience in one of the largest remittance company in Nepal having its own office in outside the country. 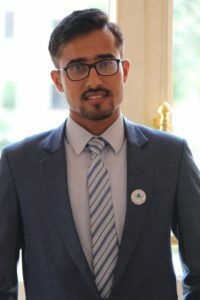 Prior to joining the remittance he worked as audit officer in one of the reputed commercial bank of Nepal. He has rich experience in IFRS, Local Tax Laws and International Taxation. He also has in-depth knowledge in Financial Planning and Budgeting, Treasury Management, Due Diligence, Project Management and Revenue Assurance. Mr. Poudel is presently serving as a member of “Editorial Committee” of ICAN. He is the lecturer of “Capital Investment and Financing Decision” subject in the course of Bachelor of Business Administration in one of the reputed management college. He has provided various trainings on Taxation. He is the financial advisor of companies in the sector of banking and finance, Export of Carpet, Pashmina, and trading companies. He has attended various seminars, events and workshops on taxation, business, finance and AML/Compliance. Mr. Rudra Nath Pokharel is working in Rastriya Banijya Bank Limtede in the capacity of Manager. He is qualified Chartered Accountant from The Institute of Chartered Accountant of India along with bachlor degree from Delhi University. He is also the member of The Institute of Chartered Accountant of Nepal. Mr. Amrit Giri is a member of Institute of Chartered Accountants of Nepal (ICAN), holding Bachelor Degree in Business Studies (B.B.S) from TU. He is a young entrepreneur working to add value to the professional carrier as a Chartered Accountant in general through better exercise of work integrity. Mr. Giri is an idea generator and implementer on financial, entrepreneurial and developmental issues and also an entrepreneurial facilator . Following are the involvements which helped him develop his leadership and linguistic skills. Member, Nepal Youth Innovator working for youth with entrepreneurship ideas. Former president of Nepal Chartered Student Association (NCASA), single formal student wing of ICAN. He is a part time/visiting MBA, EMBA and BBA faculty at MAN, KUSOM (Kathmandu University), Ace Institute of Management, KCM, Purbanchal University. He has published various articles in professional, business, lifestyle and spiritual magazines and journals. Over 2,00,000 people aged 15 to 75 and over 2,000 organizations have benefited from his teaching, training, speaking and counseling. He is member (general/special/life/executive) of various professional bodies and social organizations of Nepal, India, UK and USA. He has widely travelled to more than 60 districts in Nepal and more than 40 countries around the globe. His passion is to handle difficult people and difficult situations, learn new things and share knowledge and experiences.